Devonport – the commanding winner. 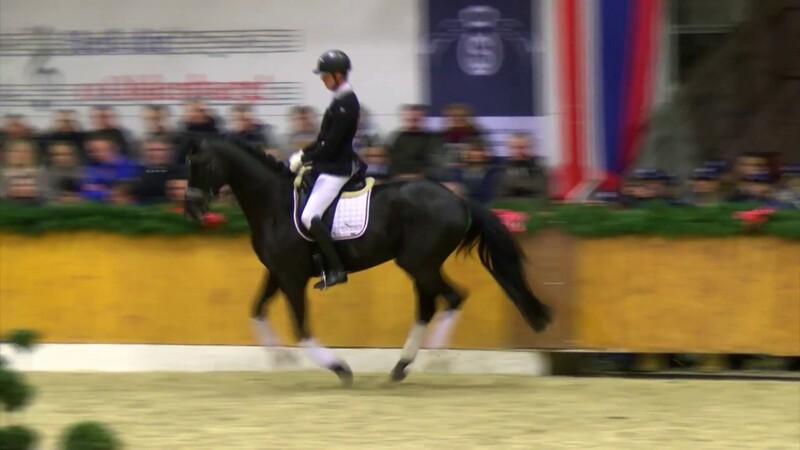 In 2017, he won the sport test, the riding championships at Höven and Elmlohe, the Hanoverian Championships in Verden and, finally, he was named "Bundeschampion" with a score of 9.1. in Warendorf. Devonport has an outstanding willingness to work, a sense of natural calm and focus, unbeatable rideability and three excellent basic gaits. 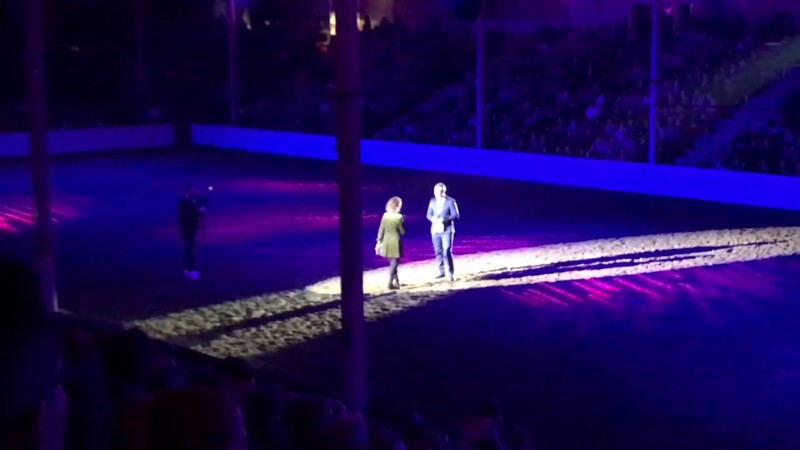 He also impressed the judges at his first shows, becoming "Hövener Reitpferdechampion" (champion of the riding class at Höven) with a score of 9.1. At a traditional show in Elmlohe, he won the riding class as well. In August, Devonport won the bronze medal at the Hanoverian Championships at Verden and was nominated for the "Bundeschampionat". Devonport won the sport test of the four-year-old dressage stallions in Verden 2017, receiving a final score of 8.78. His walk was a highlight, giving him a score of 9.0, and his canter and rideability were marked 8.8. That year, he became "Hövener Reitpferdechampion" again, right behind him in the standings was his neighbour, Fürst Fabrice. At Elmlohe, he won the riding class again and received very high marks in the final: 10.0 for his training level, 9.0 for his walk, trot and canter and 8.5 for his exterior, which gave 9.1 as overall score. At the Hanoverian Championships, Devonport became the new Hanoverian Champion of the 4-year-old riding stallions. He also impressed at the "Bundeschampionate" with Rieke Schnieder and won the riding class with 8.9, 0.5 higher than the second horse. He improved again in the final and was marked 9.1 (trot 9.0, canter 9.0, walk 9.0, level of education 9.5 and conformation 9.0). Again, 0.5 higher than the runner-up. In the following external riders test, he was marked with 9.0 and 9.5, which meant that he was able to maintain his lead. He became the well derserved Bundeschampion of the four-year-old riding stallions 2017. 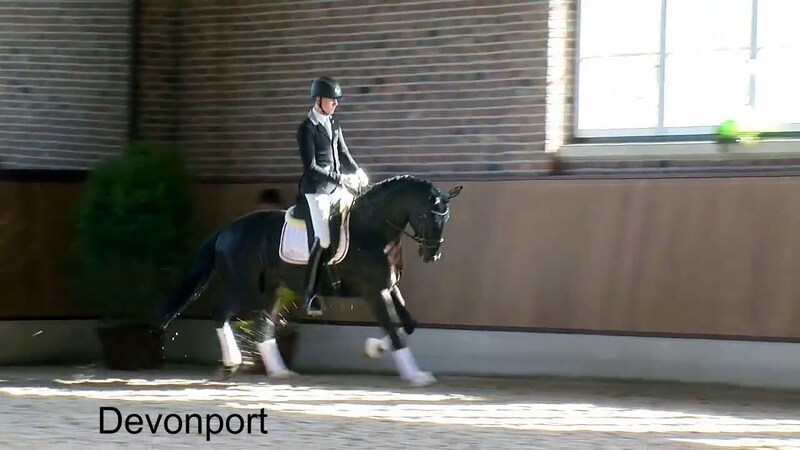 Devonport qualified for the Bundeschampionat with a score of 9.0 at his first show in 2018. Devonport did really well at the selections for the World Breeding Championships for Young Dressage Horses and received an invitation to the final of the Wolrd Championchips in Ermelo, where he finished eleventh in the big final for five-year-old dressage horses. Devonport is a son of the famous Dancier who has sired many dressage horses. He is one of the best stallions in Germany when it comes to passing on rideability. 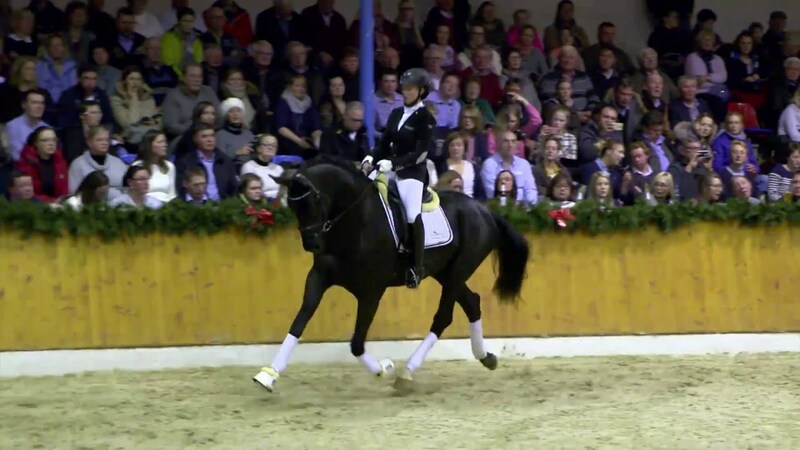 Nearly 30 of his sons are licensed, many of his daughters were winners of their performance tests and a lot of sport horses descend from him, for example the licensed Harmony's Don Noblesse (Susan Pape) and Dark Dancer, both winning Grand Prix dressage competitions. Dam sire Ravallo was the winner of his stallion performance test (100 days) with an overall index of 155.43 points. He has sired, among others, the Grand Prix horses Riverdance (Kathleen Keller) and River Joy, winner of Grand Prix with Ellen Schulten Baumer. Devonport descends from the dam line of Flirtliese which many sport horses, dressage and show jumping, descend from. His aunt Rawina by Ravallo was successful in Medium dressage competitions herself. Some of the most successful horses of the dam line are Aldebaran by Aperitif (Prix St. Georg), three 1.40 m jumping horses by Löwen As: Lombardo, Navajo and Lester. C'mon Girl by Calvaro, Lagune by Lungau and La Lopez by Lord Pezi also compete successfully in 1.40 m show jumpings. Devonport at the stallion show on 10/02/2018. Devonport at the gala nigh of the horses in Leer on 27/01/2017. Devonport at the stallion show on 11/02/2017. Devonport at the Open Day on 13/02/2016. Devonport at the stallion show on 13/02/2016. Devonport at the licensing in 2015. Devonport's first foals convinced at their appearances. The Oldenburg breeding director, Dr. Wolfgang Schulze-Schleppinghoff, highlighted the great tact of the offspring. All shown at the foal show in Lemwerder were soundly built and had an outstanding tact in the movements and a very good walk. The breeding director emphasised that the foals kept the tact in trot consistently, made themselves big and always "kept their hindlegs with it".